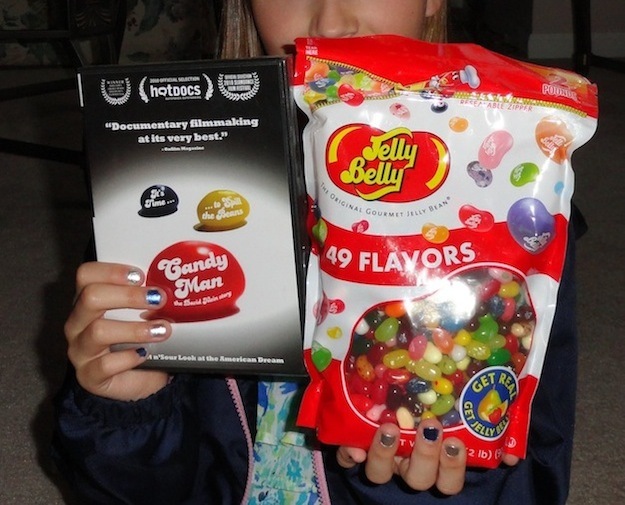 Last month I gave away a copy of the Candyman DVD and a pound of Jelly Belly jelly beans to two lucky readers. 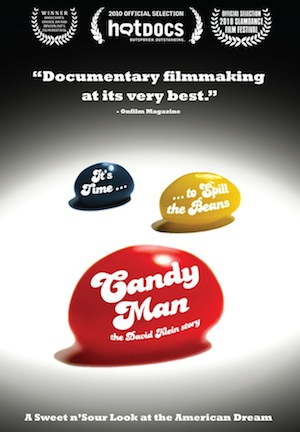 Candyman is a documentary movie about the rise and fall of Jelly Belly inventor David Klein. In 1976 all jellybeans pretty much tasted the same and sold for less than $1 per pound. A small candy distributor named David Klein had an idea that would change the face of jellybeans forever: he invented a premium, smaller jellybean, that used natural flavorings to flavor both the inside and the shell of the bean. These gourmet beans cost more than $2 per pound. At first, he couldnâ€™t give them away. Selling at more than double the price of other jellybeans, people laughed at him. Determined, he called up the Associated Press and lied through his teeth. One of the winners, Jim Klymus, just sent in a photo of his daughter enjoying the winnings. Thinking that he might be on a lucky streak after winning our contest, he entered another and could use your vote.